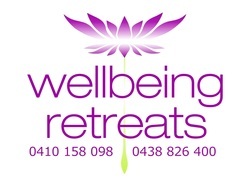 Inspired by a common goal and a shared passion, two health and wellbeing professionals, Cate Butcher and Fiona Mackillop, have combined experience and insight to create 'Wellbeing Retreats'. They have worked together for many years in the Wellness Industry and enjoy bringing love, laughs and inspiration to all groups. Fiona is an experienced Wellbeing Facilitator who combines various life enhancing modalities to assist individuals to alleviate stress, restore balance and to enhance their vitality. She is passionate about sharing the practices of meditation, qigong, laughter yoga, movement and creativity in a fun and interactive way. Fiona has spent two decades studying energy science and consciousness and the importance of mind-body connection. Her wisdom and expertise supports others to live a more authentic, balanced and fulfilling lifestyle. With over 15 year experience in Qigong and Meditation training she has taught classes and workshops extensively in Australia and overseas. She is the co-founder of ‘Wellbeing Retreats’, an organisation based on assisting others to find inner peace and optimal health and balance. Fiona also runs a home clinic providing energetic healings to support clients to move through issues in their life with grace and love. 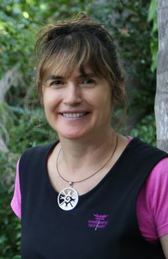 Her many years as a Biological Scientist and Environmental Ranger have given her an affinity with nature, which she enjoys sharing with others to assist them to connect more deeply with the unique qualities of the Australian bush. Cate’s passion and enthusiasm as a Wellbeing Facilitator comes from a background of over 20 years as a Natural Health practitioner. With many clients being stressed, run down and struggling with health issues, it became evident there was a need to support the larger community to restore health, life balance, and vitality. This led to the creation of 'Wellbeing Retreats' in 2008, an organisation committed to sharing Wellness programs with Corporate, Carer and Community groups. 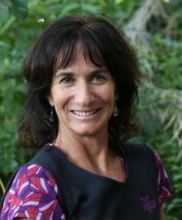 Through her extensive experience with bodywork, and self care practises, she has taught throughout Australia and Asia. Cate is an accredited member of the Australian Traditional Medicine Society and International Institute of Complementary Therapists. Being an active working mother, Cate understands the complexities of 21st century living and work/life balance. She lives her passion by sharing her insights with a caring nature, good humour and a down-to-earth approach!